At Craghoppers, our range of women’s hiking pants is designed to offer comfort, style and practicality for walking, trekking and other outdoor pursuits. Our versatile selection of hiking pants for women incorporates a number of high-performance technologies to ensure that your adventures remain safe and comfortable, whatever the weather. 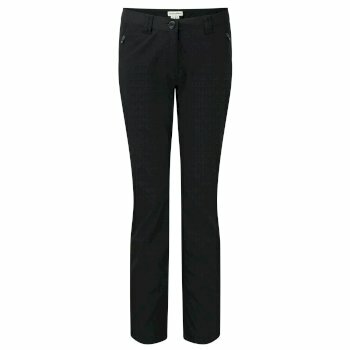 Looking for women’s hiking pants for an outdoor pursuit? 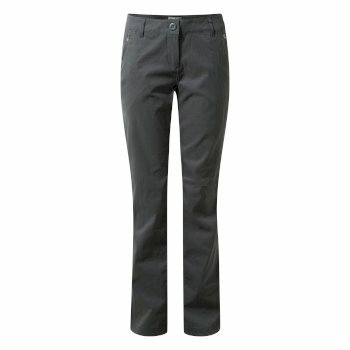 At Craghoppers you can find protective, practical women’s hiking pants for any adventure. For ultimate outdoor performance, our women’s cargo pants are designed with advanced fabric technologies for practicality on the go. Ideal for hotter climates, Solar Shield and NosiLife Insect Shield technology ensures that you’re protected from mosquitoes as well as the sun while tackling the trail. 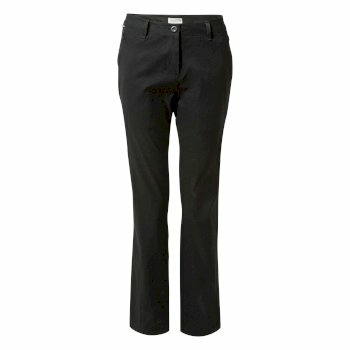 Feel relaxed all day with our women’s cargo pants with elastic waists. Packed with useful features, our women’s travel pants offer drying loops and a sunglasses wipe, ensuring that you’re prepared for all types of weather. And with five pockets – including one zipped away for extra security – as well as a security clip for your valuables, our women’s hiking pants are designed with your active lifestyle in mind. The fixed, elastic waist on our women’s convertible hiking pants also provides a comfortable, snug fit for extra comfort. With a number of colors and designs to choose from, including blue, cream, grey and khaki hiking pants for women, you can choose the hue that suits you best. Our Kiwi Pro women’s stretch pants offer comfort and style for adventure lovers, while our Clara and Amrita pants offer a slim fit and fixed waist so you’re comfy on and off the trail. Discover our range of women’s hiking pants with water-resistant technology, designed to combat and withstand all elements.Stay warm and dry in unexpected showers with our women’s waterproof pants. 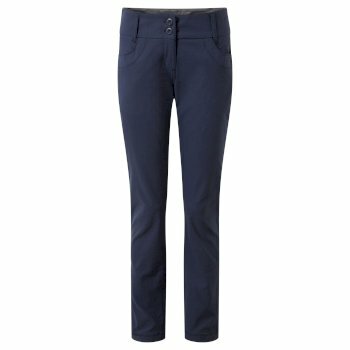 Also find our women’s insect repellent pants range with Insect Shield technology– as well as protecting yourself from any weather, protect yourself from bug bites with a pair of women’s waterproof pants. Explore our full range of women’s hiking pants today, part of our wider wider women’s outdoor clothing selection.